Discovering your current organizational culture! While it's tempting to say and believe "our company culture is what we have said it should be", in the facts it's often not what happens. It's rarely enough to say something to make it a reality. The problem with the word "culture" is that it has many definitions, particularly among the cross-cultural experts and researchers. So, as you can guess, talking about corporate or organizational culture is far from being obvious. Moreover, when you talk with any employee (manager or not) or HR leader they will probably give you a bunch of words that probably don't reflect the culture or they will recite what's written somewhere in the "corporate vision" document. Also, the "culture" that the HR hiring manager is living in and describing is very probably not the culture you experiment in another department of the company. The culture depends on PEOPLE and WHAT THEY DO. As a consequence, from a department to another, things could be very different. I guess we all have experimented it a day or another to some extent. As you can guess, these 4 different purposes opposite each other, and somehow they compete with each other. Each purpose value different things. For example, "doing things first" value innovation and change, which is quite opposite to "doing things right", that value order and procedure. 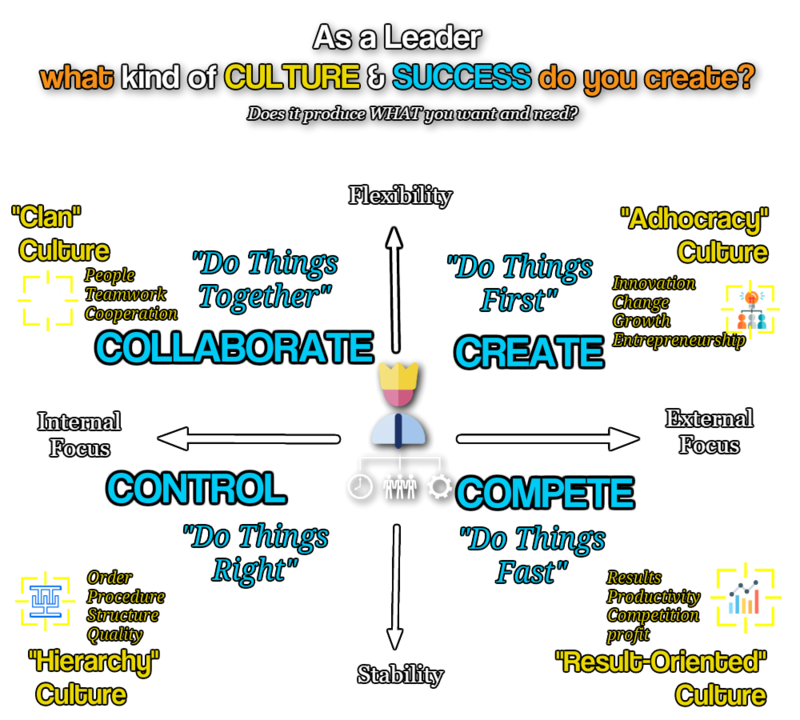 Your company or department is probably a mix of all 4 cultures. But, to what point? And does it suit the goals, the strategy of your company? So to help you create an appropriate culture we need to know where you are right now.